Put the sunflower and pumpkin seeds in a dry frying pan and cook over a medium heat for 3 minutes until golden, tossing the seeds regularly to prevent them burning. Mix the toaste seeds with the remaining ingredients and leave to cool. Store in an airtight container. Serve with fresh fruit and soy milk. Note: You may wish to soak the mueslie first in a little water, this will soften it slightly. 2. In a bowl mix together the oats, seeds and nuts. 3. Heat the oil and honey in a large saucepan until melted then remove from heat. 4. Add the oat mixture and stir well coating the ingredients. 5. Spread out on one or two baking sheets. 6. Bake for about 50 minutes until crisp, stirring occasionally to prevent the mixture from sticking. 7. Remove from the oven and mix in the raisins and cranberries. 8. Leave to cool then store in an airtight container. 9. Serve with fresh fruit, soy milk or natural live yogurt. 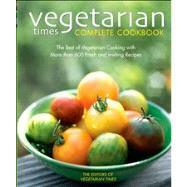 More than 600 healthy and delicious vegetarian recipes. Great if you're becoming vegetarian.